In a recent column about making the most of Migration Assistant I made the off-hand remark that it’s no big deal to move files from one account on your Mac to another. This caused concern from at least one commenter who considered the process onerous. Given that moving files between accounts isn’t entirely clear to everyone, I thought I’d provide the details now. We start with the understanding that OS X is designed as a multi-user operating system—one where files stored in one account are not easily accessible in another. For example, if Susie and Chris share a Mac, Susie should not be able to see the contents of Chris’ Documents folder while working in her account and vice versa. If Susie tries, she’ll see that Chris’ Documents folder bears a red “no trespassing” icon indicating that her way is barred. There are ways around this. You could, for example, change permissions on another account’s folders if you know that account’s administrator password. Or you could log in as root, which grants you permission to everything on the drive. Each of these techniques, however, is considered sneaky by the best sorts of people. Fortunately, the Mac OS makes accommodations for those people who wish to share files with others using the same computer. One of them is the Public folder found in each user’s account. Unlike the Desktop, Documents, Downloads, Movies, Music, and Pictures folders, this one bears no red icon. It’s where you place files that you want to share with others. When someone in another account wants whatever it is that you’ve placed in the Public folder, all they need do is open it and copy its contents to their account. 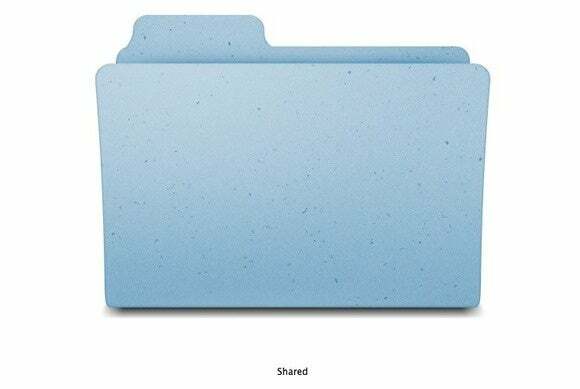 Place items that you want to share with others in your Public folder. You can also push files to other users by dragging files to the Drop Box folder within each user’s Public folder. This is a “one-way” folder in that you can copy files to another account’s Drop Box, but only the person logged into that account can see the folder’s contents. If, on the other hand, you want to make files available to anyone using the computer there are a couple of ways to do that. One is to drag files to another drive or partition attached to the Mac. Another is to use the Shared folder inside the Mac’s Users folder (found at the root level of the startup drive). The Shared folder’s permissions are Read & Write, across the board. It was designed for exactly this kind of thing—easily moving files between accounts. I use the technique often enough that I’ve created an alias of the Shared folder and placed it in the Finder sidebar, making it easy for me to move files between accounts.